Rimmel London has done it again with their new releases. I recently received the Rimmel London Scandaleyes Reloaded Mascara to trial, and now that I've used it for the past few weeks, I figure I'd share my thoughts. Rimmel London boasts clump-free volume that's smudge-proof and sweat-proof for up to 24 hours. Hmm, let's see about that, shall we? Before I jump into the details of the actual mascara, I'll just say right now that I love it. This has become my favourite everyday mascara and I've been using it every single day since I started my trial. 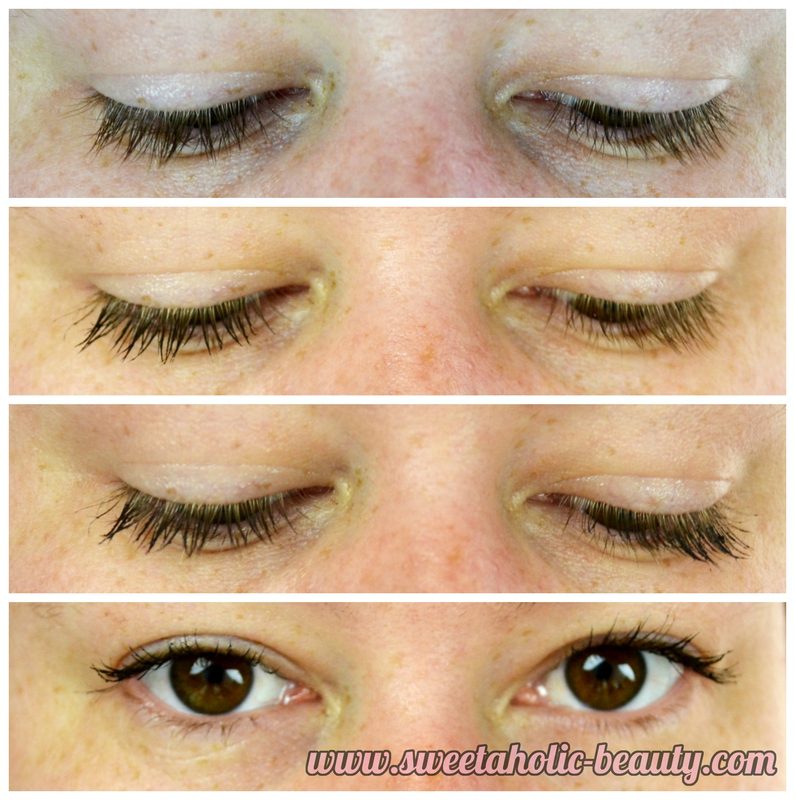 Below, I've shared a few pictures of my lashes to show you the difference I've been seeing. To start with, this mascara is truly black and really darkens your lashes. Whilst it is sweat-proof, it's incredibly easy to remove with just hot water. It's also really easy to apply and get's into all the corners of your lashes easily, without being clumpy. Although in saying that, I only really need one coat to get my desired effect. The brush itself is what makes this mascara something special. It's a redesign of an earlier brush that was successful. It includes a tapered tip to fit the shape of your eye which makes application a lot easier. I myself found the brush to be slightly on the larger side, which meant that application wasn't as easy as it could have been with a smaller brush - but I still really liked the shape. Above is an example of the difference between no mascara and one coat of mascara. As you can probably see from the first picture, my natural lashes are rather long already. With the second picture, one eyelash has mascara applied. I feel that just by looking at my lashes, I definitely see more volume than I'm used to and my lashes look darker and more defined. Personally, I love this mascara. When I first started my love affair with beauty products, my go-to was Rimmel London. 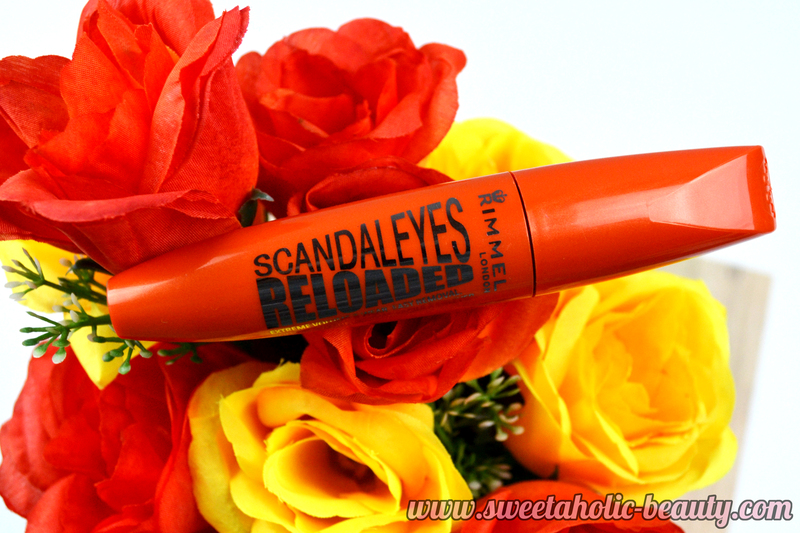 Over the years they have redesigned their mascaras and sadly haven't always impressed me - but the Scandaleyes Reloaded Mascara is definitely a step in the right direction. I often use this alone with no other makeup and it really helps to make me look more awake. I haven't tried removing it with just hot water, but it does remove easily with my regular eye makeup remover. In terms of 24-hour staying power - I have no idea. I would never wear mascara for 24 hours! 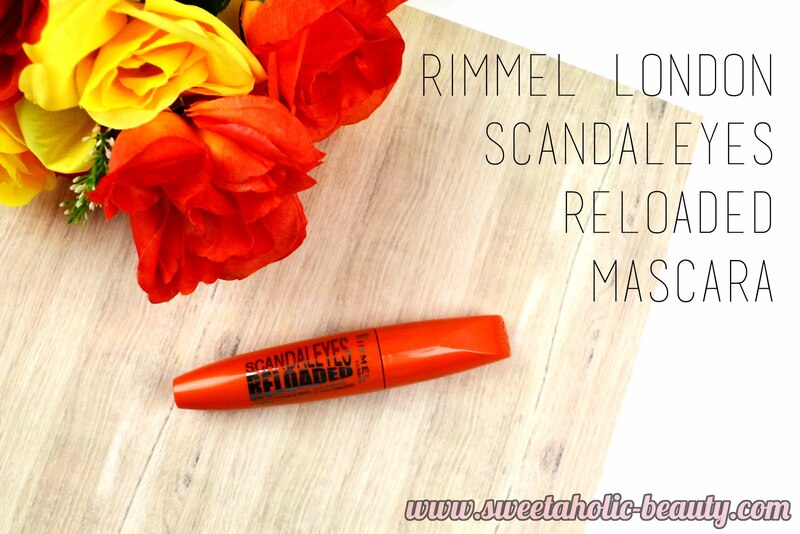 Have you tried the Rimmel London Scandaleyes Reloaded Mascara? If so, what are your thoughts? Which Rimmel London mascara is your favourite? 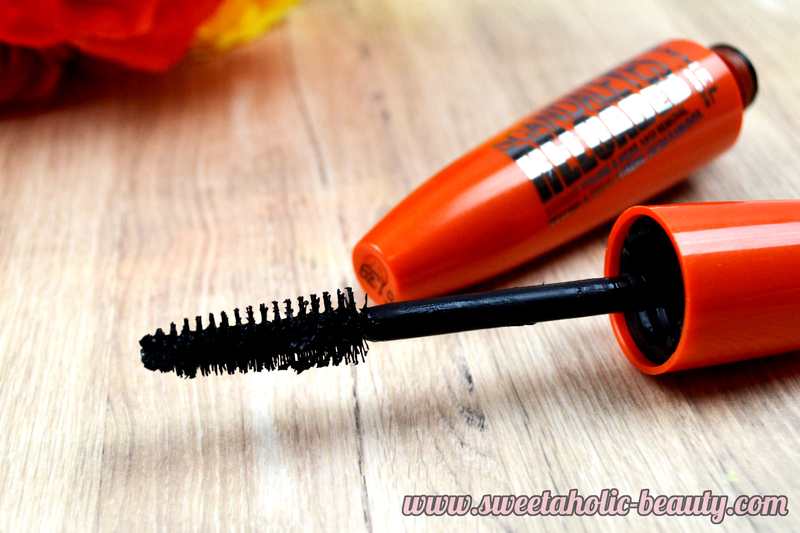 I haven't had a Rimmel mascara for ages but I know they are always bringing out new ones and this one sounds pretty good. At the moment, I'm living for my Essence False Lashes Dramatic Volume Unlimited, can't stop using it!! 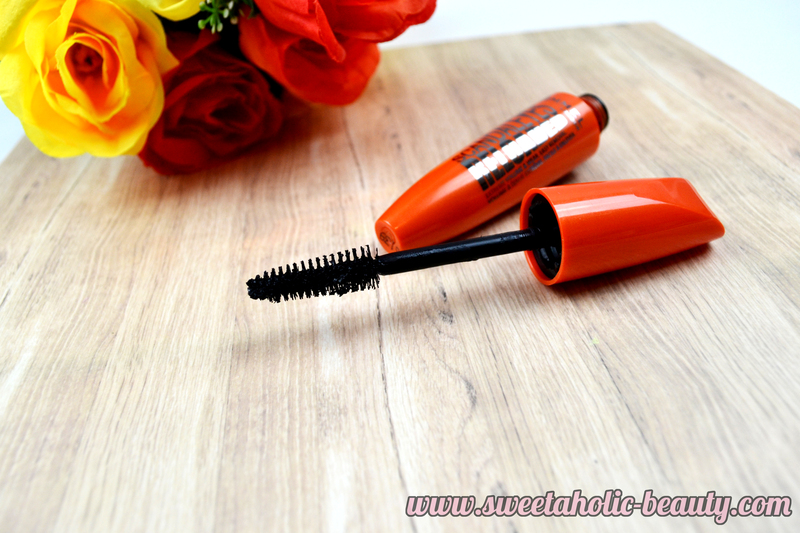 I've just about had it with mascaras - I've yet to find one that doesn't weigh down my lashes! I really enjoyed their waterproof scandaleyes but I found that it dried out really quickly! :( Hopefully this doesn't do the same because volume is one of my necessities! I'm in love with this collaboration! I love the range! You have incredibly long lashes to begin with! I am yet to try a Rimmel mascara, but by the sounds of it, I need to get my hands on one. Great post!